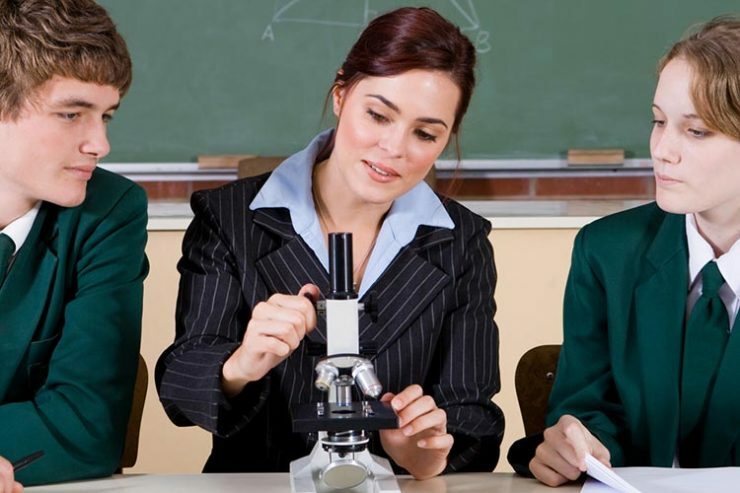 West Yorkshire teaching jobs, Kirklees teaching jobs, Calderdale & Wakefield teaching jobs! Plus school support roles in all areas. Are you looking for West Yorkshire teaching jobs, teaching assistant jobs, or other school support jobs? We cover all of Leeds, and the surrounding areas! Our team is deeply committed to improving education outcomes for all students in Leeds and the surrounding area. That’s why we make sure to match the right teacher in the right role in the right school for them, so that everybody benefits. Whether you are looking for permanent, supply, or fixed-contract positions, our dedicated Leeds team is here to help. We have roles in early childhood, primary and secondary schools, with teaching jobs and support staff jobs in state schools and independent schools. Call our Leeds team now on 01133 670991, or register at the link below, and take the first step in securing your perfect next education job in West Yorkshire. 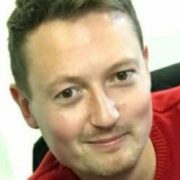 Paul has over 16 years of Educational Recruitment Experience working mostly in the Yorkshire Region. He has worked his way up from Recruitment Consultant to Branch Manager, now in the role of Regional Manager. Paul believes the “Candidate is King” and customer service is essential for driving a 5 star candidate experience. 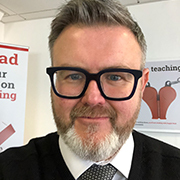 Since joining Supply Desk, Paul proud of the role the company plays in helping all schools to run efficiently, whilst aiding in the delivery of their performance goals. Paul is married with two children Finlay and Poppy, who take up loads of his time playing ‘Dad’s Taxi’! As a family, they enjoy visiting Elland Road, especially when they win. When not at Elland Road, Paul and his children like walking in Malham and the 3 Peaks. Ben joined Supply Desk as part of a University placement in September 2009. Since returning from higher education in July 2011, Ben has been responsible for growing a hugely successful Primary Desk covering Calderdale, Kirklees & Wakefield. Ben is well-liked with both candidates and clients and works efficiently to ensure that he continues his success throughout the area. Harrison joined Supply Desk shortly after his release from the army, which he trained as a combat medic. Prior to his position at Supply Desk, he was working as an accounts manager. He was very successful in developing his accounts and building strong relationships. Harrison is looking forward to working with Primary Schools and helping them with top quality candidates. He prides himself on his customer service and delivering on his promises. Outside of work, Harrison is a regular gym goer and a professional salsa dancer. 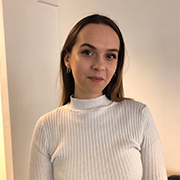 Leanne joined Supply Desk in April 2018 after working on the Social Media team at Asda Head Office. Prior to this, Leanne studied for a Masters in Dance, during which she pursued her love for travelling whilst on tour across Europe. She also taught dance classes at schools across the UK. After returning to Leeds, Leanne set up dance classes in her home town of Morley, which secured her love for education and inspiring young people to achieve their full potential. 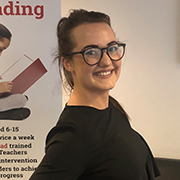 Leanne has excellent relationships with Secondary Schools across the Leeds & Bradford area, where she is committed to helping make a difference both in schools and the local community. Outside of work Leanne still enjoys the odd Dance Class and gym session! 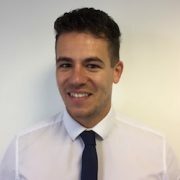 Matt joined Supply Desk in April 2018 after returning from living in Australia. Whilst in Australia, Matt successfully led a sales based team. Matt progressed in the role and was promoted to the position of Internal Recruiter where he helped grow the sales department. Matt has since adapted his skills to the education industry where he provides schools with dedicated teachers and support staff. Matt has a passion for education and strives to provide staff that can make a difference and increase academic attainment within schools. Eliza is a Sociology Graduate from the University of Leeds with a keen interest in education. For this reason, she looked for jobs in the education sector that suited her personality and working at Supply Desk fulfils that. Eliza hopes to support the schools she works with in a unique and consultative approach to increase attainment. She does this by providing them with quality teachers and support staff that want to make a difference. Eliza’s favourite part of this job is going on orientation days at the schools she works with. In her spare time, Eliza likes cross-stitch, painting landscapes and has just learnt to knit! “Moving country and basically starting a new life was always going to be daunting and nerve racking. Although when you have an incredible amount of support with planning and processing stages, it takes that stress away. Two mates and I landed in Leeds on Thursday the 12th of January 2017. Neil greeted us at Manchester airport and drove us to our apartment in Leeds. He made us feel welcome with a night out on the town on Friday night and on the following Monday had two Job interviews each for us lined up. It was that Tuesday that I accepted a full time supply position at an “Outstanding school”. The Leeds team at Supply Desk have been incredibly helpful during my time working in schools in the UK. I was lucky enough to come over with my brother and a friend, who both went through the agency as well. They walked us through all the nitty-gritty paperwork pre-departure, picked us up from the airport upon arrival, transported us to our initial accommodation, and even advised us where we could get a good meal. They allowed me the time I needed to settle in, such as setting myself up with a bank account, and finding permanent accommodation before organising interviews for potential job opportunities at various schools. The team were very thorough and helpful in finding me suitable work that utilised my experience while being very considerate of finding suitable schools close by, in order to lessen my travel time to and from work. I would recommend this company to anyone who is considering teaching over in the UK, especially in Leeds. The incentives and flexibility in work arrangements that the company offer will suit anyone’s circumstances, whether you would like to work full-time and build bank, or go the casual supply route and travel around the UK & Europe. I am currently employed medium to long term as a supply teacher just outside of Leeds, working for Supply Desk. Before leaving Australia to come to England for work, I was told I was going to be working as a supply teacher in and around Leeds, working on a fairly day-to-day basis. However, about a week prior to my move, I got a call from Neil saying that he’d been able to sell me on a longer term placement in a local primary school. Working less as a supply teacher, and more as a permanent classroom teacher has definitely been beneficial for me as a teacher, as I’ve been able to see the ins and outs of an English school and classroom, and it’s allowed me to gain more of a routine from day-to-day. On top of finding me a job longer term, Neil, along with Ben – also from Supply Desk – met me with a cheery smile, upon my arrival at Manchester airport. The boys drove me back to a hotel, and spoke to me about how things may look over the next week, as I look to get myself settled into work. Over the next few days, Neil assisted me in obtaining a UK phone number, and has been very accommodating in helping me get my bank account sorted out, which hasn’t been as easy a task as we may have hoped. I am constantly getting texts and phone calls from both Neil and Ben, checking on how things are going at my school, ensuring that everything is running smoothly, and above all, that my safety and best interests are paramount above all else. I would highly recommend the service that has been provided to me by anyone looking for supply work. Neil and the team at Supply Desk in Leeds have been incredibly helpful and happy the whole way through the process. Kath at Supply Desk has been fabulous this year, supporting us in recruiting high quality staff. 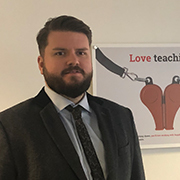 We have built a partnership where Supply Desk understand the needs of the Academy, the challenges we face and the qualities that will enable teachers to be successful.